Exhibition open until Sunday 21st April. Open daily, 10am – 4pm. 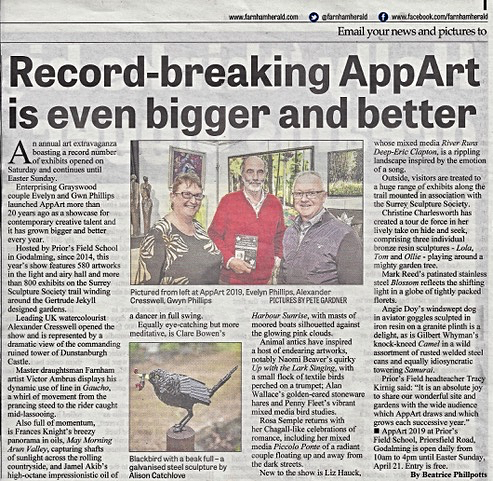 AppArt was founded in 2012 by Evelyn & Gwyn Phillips to encourage interest in the visual arts in the Surrey area. 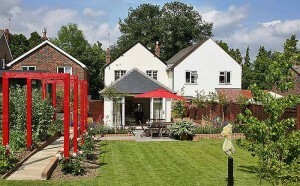 They hold an annual exhibition at Prior’s Field School and smaller events at their Grayswood Studio. 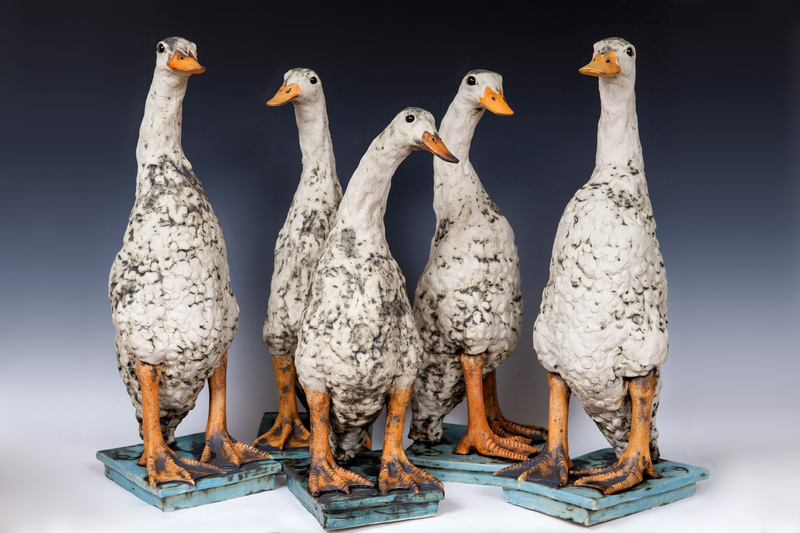 They have been curating exhibitions for over 20 years. Click the button below to read more. Artists from all over the South East of England take part in our annual exhibition and they encouraged us to set up AppArt to continue to hold eclectic art shows in the Surrey area. Click the button below to see more about the artists who have exhibited at our exhibitions. 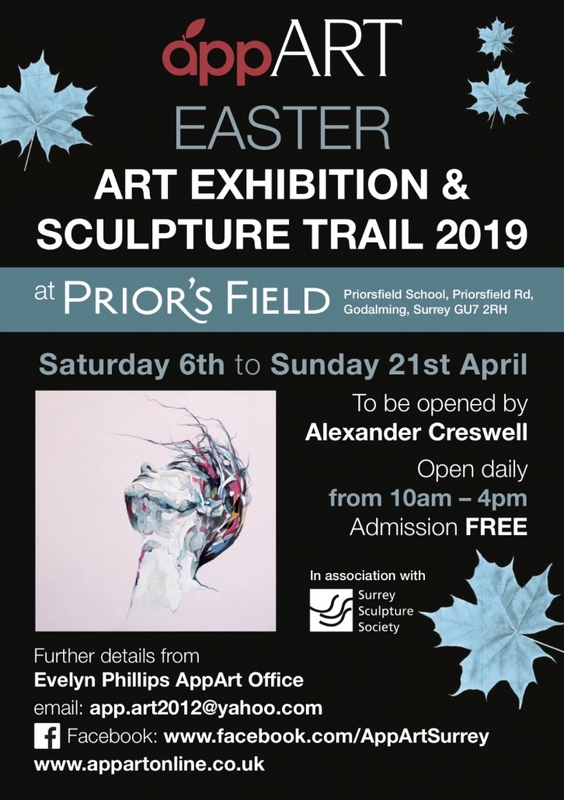 Our annual Easter exhibition is held at Prior’s Field School, Godalming and includes an indoor exhibition of ceramics, glass art, paintings, photography and sculpture and an outdoor sculpture trail in the Gertrude Jeykle inspired gardens. Click the button below to read more. 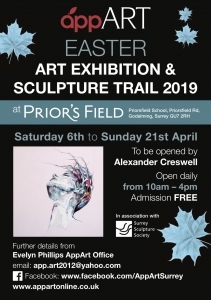 If you would like more information on AppArt’s next exhibition at Prior’s Field School (2019) please click here.